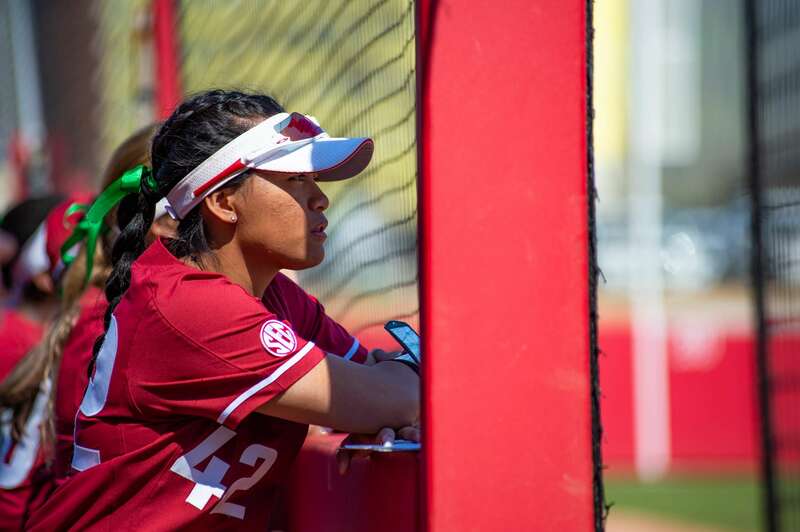 FAYETTEVILLE – The University of Arkansas softball team will look to build on its five-game winning streak on Tuesday (April 16) when it hosts the University of Arkansas at Pine Bluff for an mid-week non-conference contest. The Razorbacks and Golden Lions will be meeting for the first time in program history with a first pitch slated for 6 p.m. (CT). Arkansas (31-14) is coming off an eventful week with five wins over Wichita State and Furman. The Razorbacks most recently secured two run-rule victories over Furman on Sunday (April 14), outscoring the Paladins 11-0 in game one and 9-1 in game two. The five wins were highlight with a 12-inning 6-5 victory over Furman on Saturday (April 13). The Golden Lions are headed to Fayetteville after they dropped two games to Grambling St. 11-2 and 5-4, at the GSU Softball Complex on Friday afternoon (April 12). UAPB (4-25) is one of four teams that Arkansas has faced or will face in 2019 for the first time in program history this season (UAPB, Campbell, Furman, Lipscomb). UAPB is the only SWAC team to face the Razorbacks this season. Arkansas is 17-1 against SWAC teams in program history. The last SWAC team to defeat the Hogs was Jackson State in 2014 (L, 3-1 in Jackson). Arkansas has looked to their dugout multiple times this year to add speed to the bases, scoring 34 runs off pinch runners. Sam Torres, Sydney Benz, Maggie Hicks, Ryan Jackson, Carley Haizlip and Keely Edwards have all scored runs as pinch runners for the Hogs – Torres currently leads the pack with 11 runs. Nicole Duncan’s 14 hit-by-pitch calls in 2019 is two-short of the single-season high of 16, set by Kim Eiben in 2002. As a team, the Hogs have been hit 49 times at the plate, a single-season high in program history. Kayla Green is only one of four SEC catchers to catch eight or more runners stealing – of those four, Green has the least number of stolen bases allowed (4) and therefore the best SBA% (.333). Green’s 23 career runners caught stealing is one away from ranking 10th for CSB in a career at Arkansas. The 2019 season marks the 10th season in Bogle Park – since its opening, the Hogs have played 251 games inside the park, for a combined 141-110 record.